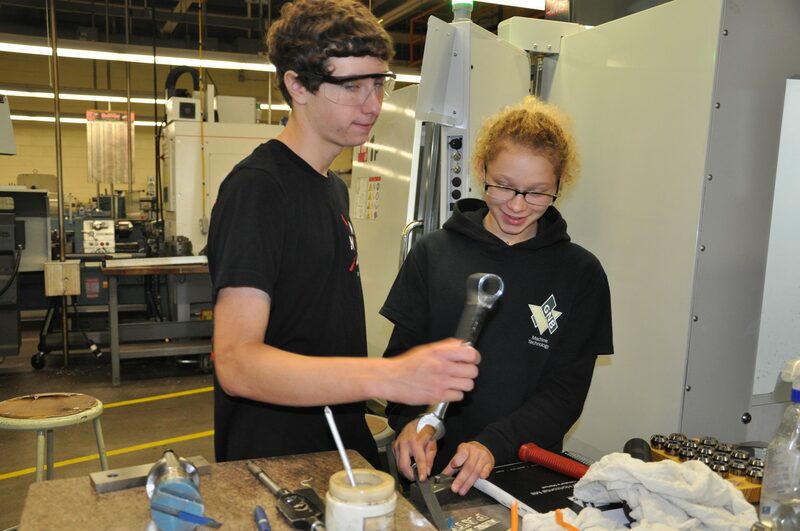 The Machine Technology program helps students to improve mathematical skills and hand-eye coordination. 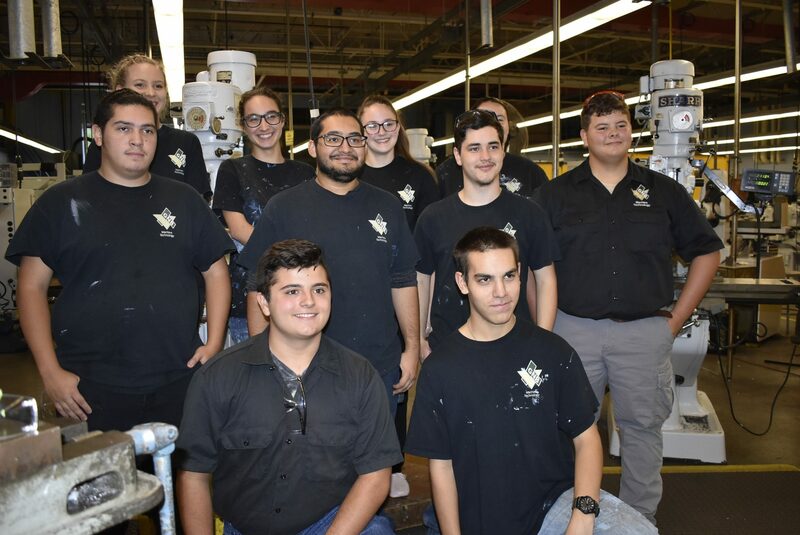 A machinist is a skilled worker who shapes metal and non-metal parts by using a large variety of machine and hand tools to produce a required product. 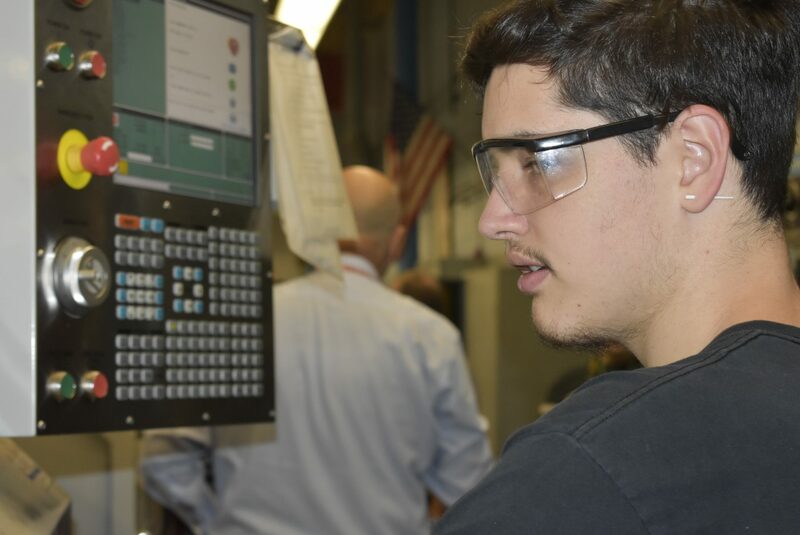 The demand for skilled machinist, tool makers, and machine trades people with computerized machining skills is increasing. 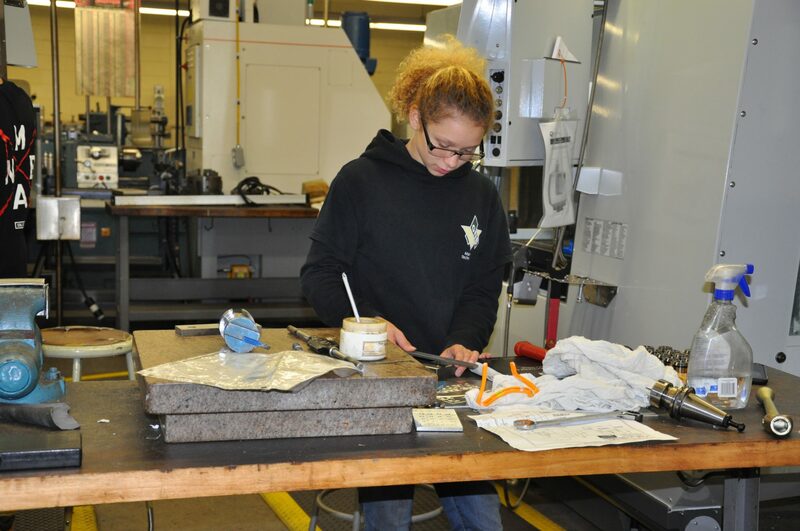 The training received here can lead to a college degree in Mechanical or Manufacturing Engineering. 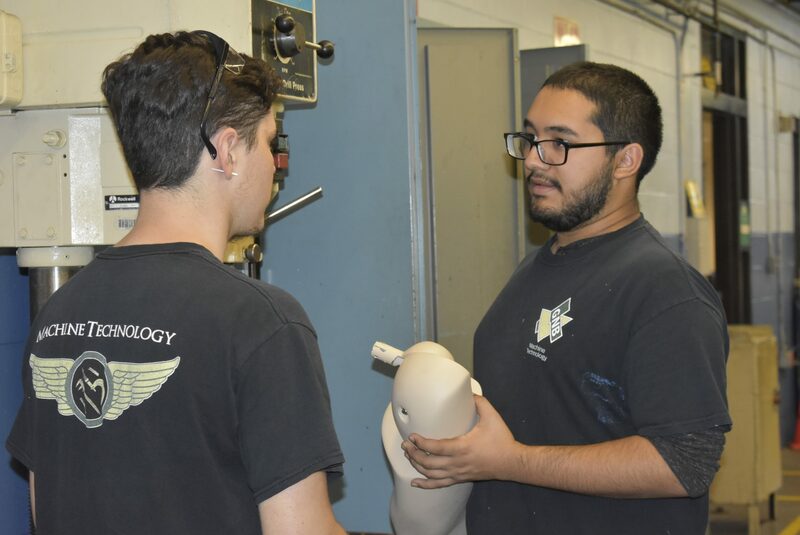 Students operate a large variety of machine shop equipment such as engine lathes, vertical and horizontal milling machines, drill presses, and various types of grinding machines. 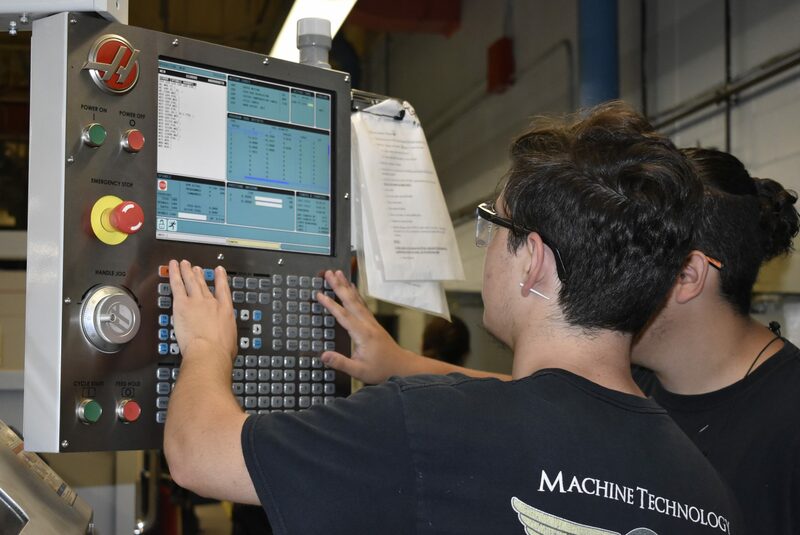 Computerized wire machining and discharge ram, also the (CMM) Coordinate Measuring Machine are available in the senior course. 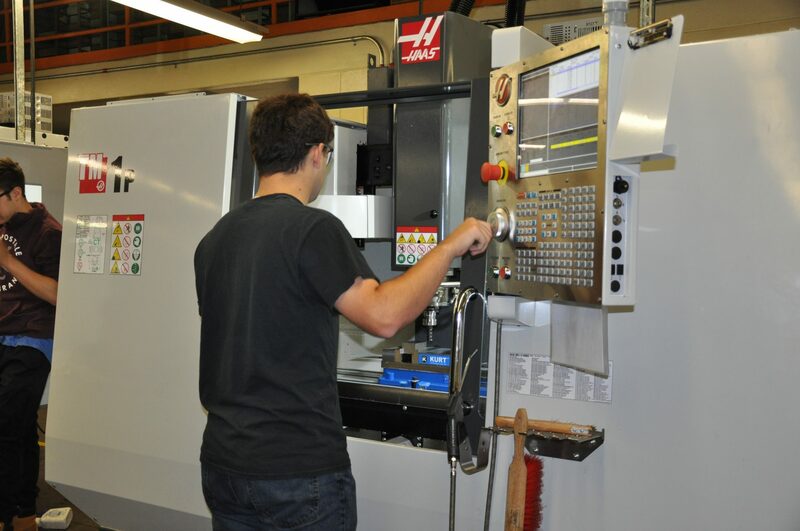 Beginning in the junior year and continuing into the senior year the students learn to: program, set up, and operate computerized milling machines, lathes, and measuring machines, as well as EDM machining. 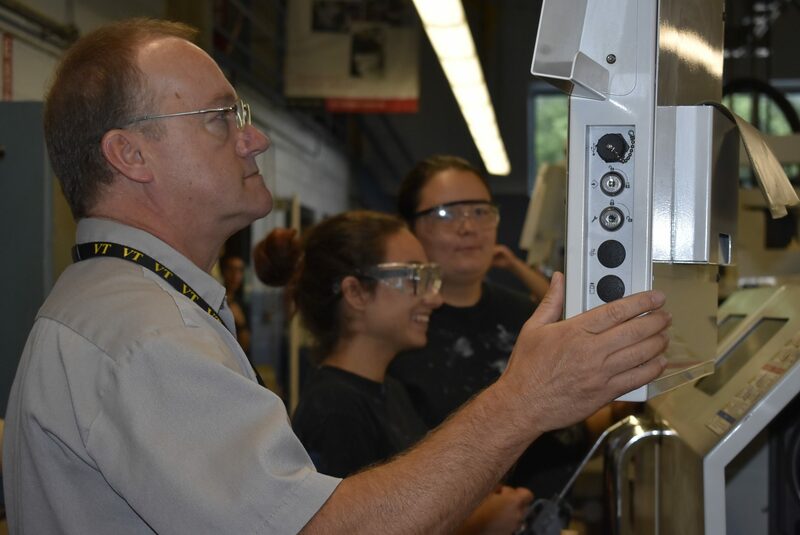 Upon completion of three years of Machine Technology training, graduates have entry level skills to join the workforce. 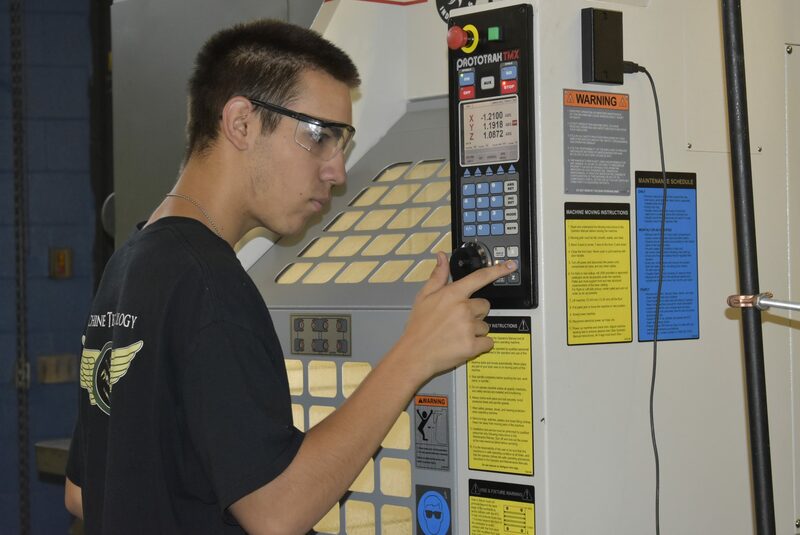 Graduates can begin as apprentice machinist or in areas of computerized equipment, and electronic discharge machinery. 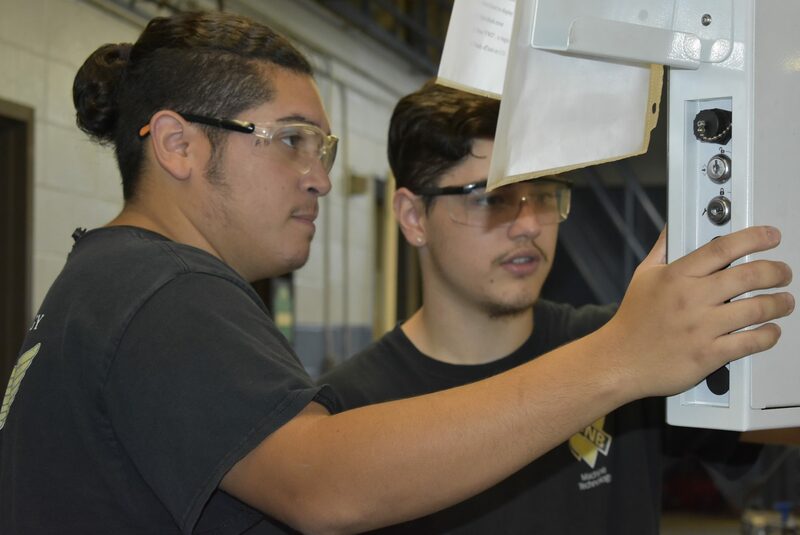 From there, graduates can advance into the setting up and programming of Computer Numerical Control (CNC) machines, Computerized Numerical Control (CNC) lathes, and electrical discharge ram and computerized wire machines. They can also advance into the Computer Aided Drawing / Computer Aided Manufacturing (CAD / CAM) area.